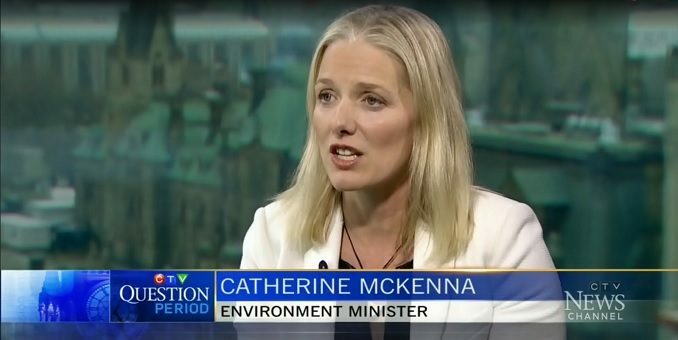 Environment Minister Catherine McKenna has made it perfectly clear that she has “no time” for people that disagree with her vision of climate change and how to deal with it. In a fiery exchange on CTV’s Question Period with Evan Solomon this week, McKenna took a high handed view of those who see things differently. 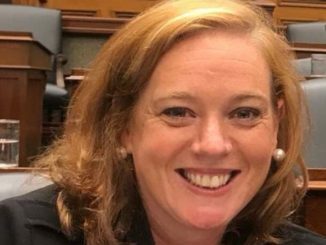 Asked by Solomon how she would deal with provinces such as Saskatchewan as well as Ontario and Alberta, depending on election outcomes, that oppose her carbon tax plan, McKenna was utterly dismissive. “I have no time for folks who are you know, ‘We shouldn’t take action,'” McKenna said. “I don’t have time for politicians that play cynical games with climate action,” McKenna responded. That response is a bit rich considering the cynical games played recently by McKenna and her boss, Prime Minister Justin Trudeau, on the impact of their carbon taxes. McKenna was asked at committee, and Trudeau in the House, to explain to fellow MPs what carbon emissions would be reduced under the government’s $50 a tonne carbon tax. 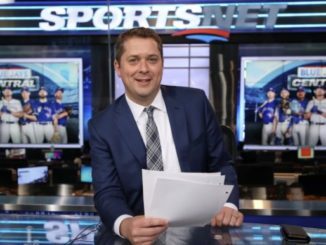 Neither one would give any details, Trudeau going so far as to blame Stephen Harper. That my friends, is cynical politics. As I explained here, I think Trudeau and company know the impact of their $50 a tonne carbon tax will be minimal and therefore they don’t want to release the numbers. It was fascinating to see how McKenna played out this interview, especially when pressed by Solomon. Full credit to my fellow CFRA radio host, Solomon pushed McKenna on her claim that she had “no time” for people, he even suggested it is this type of Liberal arrogance that turns people off. McKenna moved and dodged and went from saying she had no time for people that won’t act to saying no time for cynical politicians and finally saying she had no time for climate change deniers. Of course to her, all you have to do is disagree with her plan to qualify for any of the three groups. Saskatchewan has opposed the carbon tax but developed their own plan for GHG emission reductions that includes regulations and carbon capture and storage. It isn’t good enough for McKenna. Both Jason Kenney and Doug Ford have said there are other ways to deal with this issue than a tax but they aren’t what McKenna wants so she has no time for them. And her complaint that the Ontario PC Leadership candidates didn’t have a climate change plan rings hollow when she and her boss refuse to tell the Commons the impact of the plan they are pushing. You can watch the full interview here, the fun really starts at about the 4:55 mark. The position premised by the view she holds to is deeply disingenuous. Just under 40% of Canada’s GDP is taken in as taxes. It is among the highest in the world, and most critically, compares to 26% by Canada’s very large neighbor. It is an extremely high penalty against people. If you take people’s lives to comprise 45 years of earning ability, federal and provincial governments are taking 18 of those years for themselves. Now let’s look at Carbon taxes. They are something Canadians already pay in the form of energy taxes, and inasmuch as they are levied by federal and provincial governments as a part of the lifetime economic penalty against the individual, might as well be counted as that 40% of everything people do, their capacity to be generous, and their ability to build a better society for the next generation. My point is that it is a taking of YEARS of peoples’ lives, and much of it is unjustified. The net effect of that very high level of taking is not clear. What environmentalists CAN tell you is that any dampening of human activity, particularly in the economy is deemed a benefit in their column. Again, ALL taxes in excess of the benefit to society might as well be the carbon tax. It is not hard to infer that it is taken for its’ own sake to little social, environmental, or individual benefit, and that is the way one should look at the carbon tax: it is just another taking. How a proponent of doing this justifies it is not relevant. The only point in even asking them why, would be to invite them to lay bare their intentions if they are that foolish. I’ll donate the max to the liberals if anyone anywhere can explain how crippling our own businesses with high carbon tax costs will make them more competitive with the coal powered businesses in China. It will give the higher polluting factories in China an even bigger competitive advantage over our already cleaner industry. So her plan will produce more pollution, not less. She mentioned something about needing a plan? Climate Barbie needs a brain. Climate Barbie is simply part of the whole package to strip Canadians of cash. 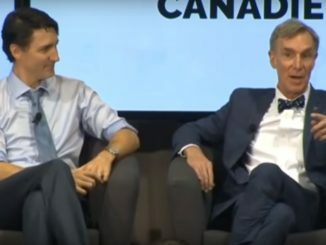 Canada is broke. Taxes will go up and up and up. The libs took over with a balanced budget and shipped billions off shore to despotic nations, ignoring their own country. Now Canada is over one trillion dollars in debt and it is rising. If you read this – visit http://www.debtclock.ca/ to see how bad it is and how bad it will get. You can also see each of the Canadian provinces – if it does not concern you, then you are either one of the richest people out there, or you are not thinking straight. Now the piper has to be paid. Taxes will go up and jobs will drop. Investment will leave Canada as taxation drives them away. When the 1.2 million welfare recipients start arriving from the middle east with no language skills, no job skills, serious medical and dental problems along with no ability to support themselves, the country will see yet again another tax hike.You cannot bring in approximately 3% of a country’s population, put them on welfare and expect to not see taxes rise. All in the name of diversity – in this case, the killer of the economy as you know it today. Canadians elected this Papa Oscar Sierra – now you are about to see how far he and his illicit crew can drag Canada down. Get ready – it has only just begun. What about the polutted rivers like saint Lawrence river that is being dumped with feces and other toxic garbage every day that is dangerous to fish? Apparently, this pipe dream minister gave permission for the dumping. Saw a clip recently of McKenna being asked in committee how much the carbon tax will reduce CO2 emissions. She did the usual Liberal run around and could not answer the question. So the masters of the plan have no clue. McKenna reminds me of what you get from the low-information voter. Balderdash! McKenna said she had no time for provincial politicians who play games with climate change exclusively to impress their provincial constituents, posing as guardians against the Big Bad federal government. Solomon, with his rude behaviour and refusal to let the minister complete many of her points, acted as if he had no time for anyone who refused to nod and say, “Yes, Evan.” I have no time for bullies like Solomon – never have.